Rainer Werner Fassbinder was the great cinematic comet of the 1970s, the last truly great European auteur when art films were still preeminent in Western culture. In a mere 14 years, he directed 40 features, acted in 36, wrote most of his films as well as 24 stage productions and four radio plays while also directing two television series, four videos and three shorts. In addition, Fassbinder was a composer, designer, editor, cinematographer and theatre manager. When he died at the age of 37 in 1982, the film world was thunderstruck. At the time, his reputation was phenomenal. No one could predict what he would do next. Fassbinder was truly a groundbreaker in style and content. Look at his successes—or controversial failures—in his brief but prolific career. Fassbinder directed and wrote one of the first epic television series Berlin Alexanderplatz, a stunning adaptation of Alfred Doblin’s kaleidoscopic novel of love and death in the Weimar Republic. His film Fox and his Friends, though a typical downbeat production, was a very early gay melodrama. (Fassbinder was gay although he also had heterosexual affairs.) His biggest hit, the Hanna Schygulla starring The Marriage of Maria Braun elevated the “woman’s picture” from a petty genre through an unrelenting gaze at the rise to power of a beautiful, manipulative German businesswoman in the 1950s. Ali: Fears Eats the Soul was a passionate exploration of a love relationship between an older German cleaning women and a Moroccan car mechanic. It won him international acclaim and was far ahead of its time in dramatizing an affair between an Arab and a Westerner as well as an older woman and younger man. And that’s only for starters. The man rarely paused between productions, often making three to four films a year. The numbers wouldn’t matter if the films hadn’t been stellar. 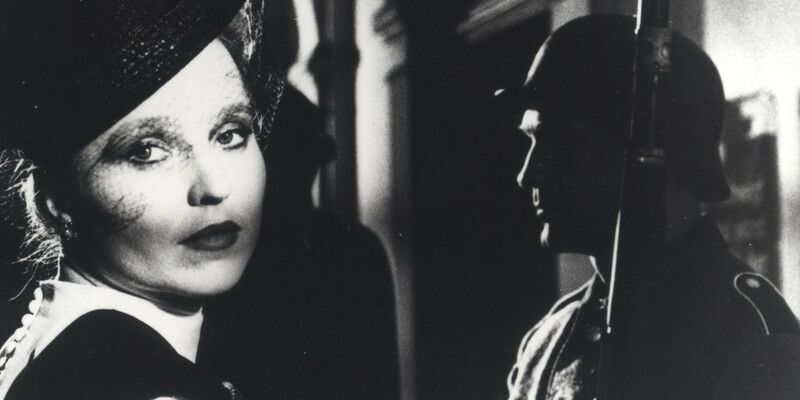 In Imitations of Life: The Films of Rainer Werner Fassbinder, a series curated by TIFF’s internationally recognised programmer James Quandt, Toronto filmgoers will get to see the works already mentioned and many more. Consider, for example, his films in which women are the titular characters. Besides Maria Braun, the charismatic group includes Lola, starring the delightful Barbara Sukowa in a role reminiscent of Marlene Dietrich’s femme fatale in The Blue Angel; the over-the-top histrionic Lili Marleen about a Nazi-era torch singer; the refined, disappointed-in-life Effi Briest, the 19th century equivalent of Madame Bovary; the devastating lesbian trio (another groundbreaker) in The Bitter Tears of Petra von Kant; and the drug-addled doomed mystery woman in Veronika Voss. Fassbinder’s use of women as the protagonists of so many of his finest films anticipates the works of Pedro Almodovar and Todd Haynes. He understood that his moody downbeat scenarios worked best when played through the psychology of women trying to escape the fateful hand that had been dealt to them. Although Fassbinder directed such talents as Sukowa and Rosel Zech in Veronika Voss, his favourite muse was Hanna Schygulla, the luminous presence in Effi Briest, Lili Marleen, Petra von Kant and many other productions. Watching a number of Fassbinder films in the past week has been rewarding. Quandt once told this reviewer, “If you haven’t seen a film in ten years, you really haven’t seen it.” It’s true that memory can play tricks on you. In the ‘70s and ‘80s, I was a huge advocate of Fassbinder’s work and there was some trepidation in viewing so many of his films again. I am pleased to report that most of his films have aged well. Imitations of Life: The Films of Rainer Werner Fassbinder starts tonight and continues through December 23. I urge you to see films in this amazing retrospective.